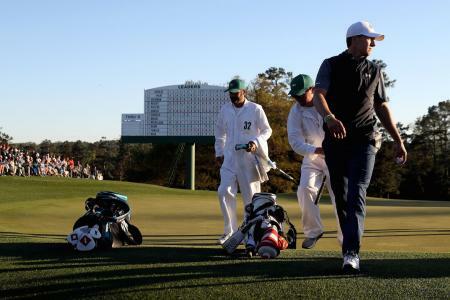 When you meet Jordan Spieth, what strikes you isn’t a win-at-all costs, day-in and day-out grind type of athlete. Calm, cool and unendingly polite, he smiles and introduces himself, a firm handshake belying a lean and lithe 6-foot-1 frame. 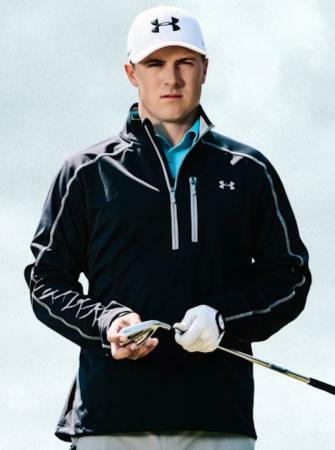 Under Armour scripting has Jordan Spieth prepared to battle the elements at Bellerive. 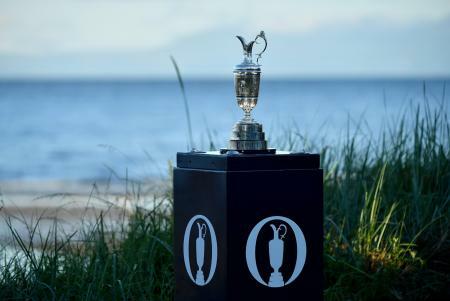 The time is just about here for one of the most exciting Majors on the calendar, the U.S. Open. 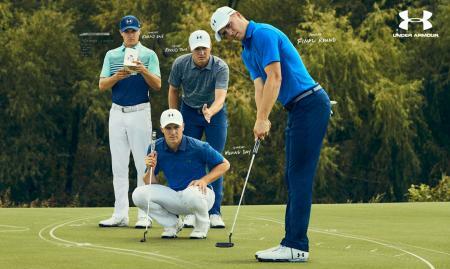 Here’s Jordan Spieth’s Under Armour scripting for his campaign. 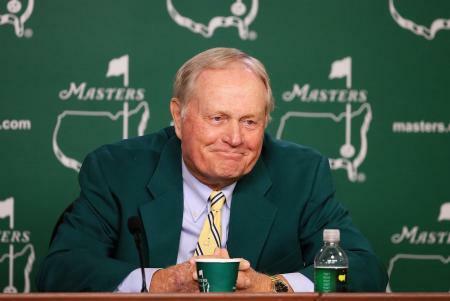 With the Masters knocking on our door, it’s time to look at what some of the key contenders will be teeing it up in. 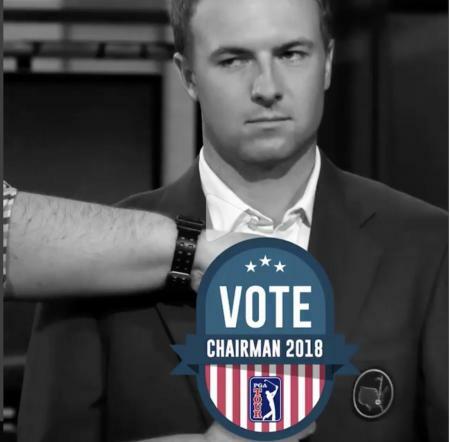 Jordan Spieth has been elected chairman of the PGA Tour’s Player Advisory Council, despite Billy Hurley III’s brilliant attack ad. 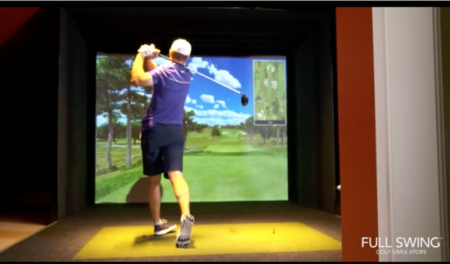 Here's a great Instagram posting of Jordan Spieth holing out on a golf simulator and going completely beserk! They all count after all. Jordan Spieth will be defending his Australian Open title this week, and will be enjoying a $1 million payday before he even tees off. 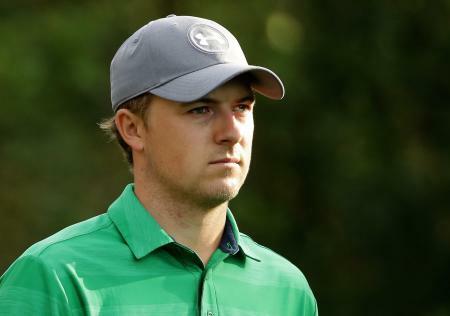 Jordan Spieth appeared on the Late Late Show this week with James Corden. And James Cordon set him a challenge with a bit of a difference. 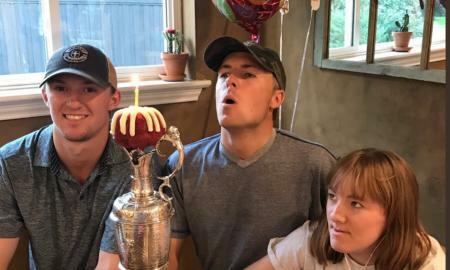 Jordan Spieth has been celebrating his 24th birthday in style, and using the Claret Jug as the ultimate cake stand! 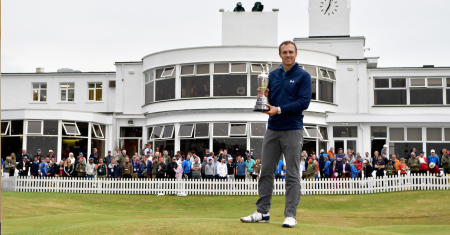 What kept Jordan Spieth going when things got tough while winning The Open? Incredible mental strength. 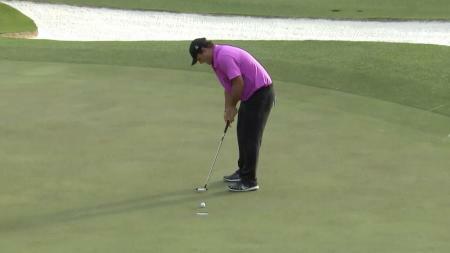 Astounding putting prowess. Comfy performance pyjamas. Sorry what? 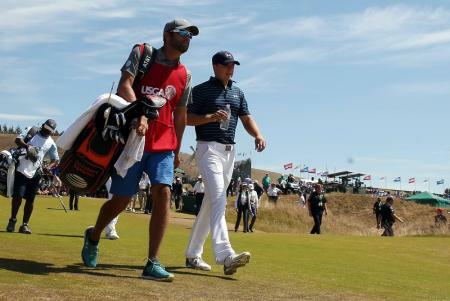 Jordan Spieth was making his debut at the TPC River Highlands Course in Connecticut, and he made light work on day one, with eight birdies and a solitary bogey to take a one–shot lead at the Travelers Championship with a 7 under 63. 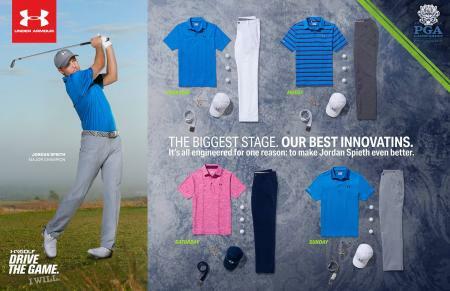 Here's how Jordan Spieth will be dressed for next week's US Open, and of course he's head to foot in Under Armour. 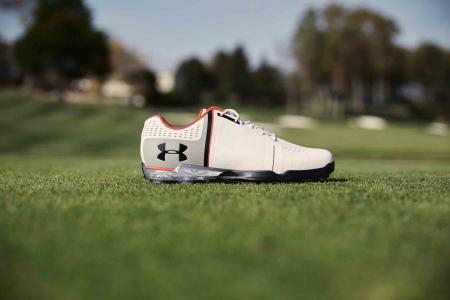 Jordan Spieth's new Under Armour signature golf shoes –the Spieth One – are available at retail today. 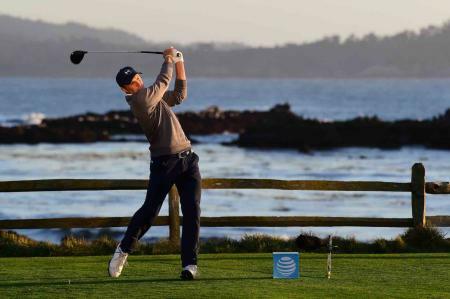 Jordan Spieth shot a consecutive 65 to dominate on moving day at the AT&T Pro–Am at Pebble beach. He's now leading Brandt Snedecker by six clear shots. This Texan is on fire. 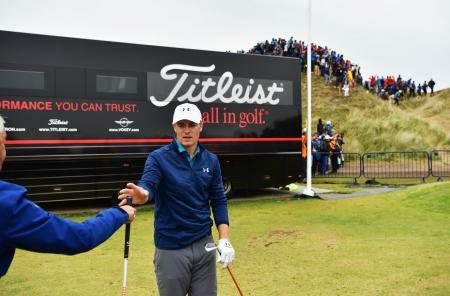 Jordan Spieth confronted a group of autograph seekers after they became abusive when he refused to sign objects for them ahead of the Pebble Beach Pro–Am, and used some strong language to make his point. 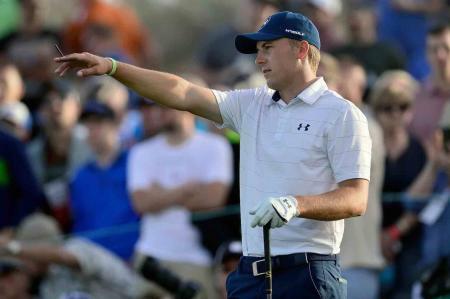 We love Jordan Spieth at GP Towers. He just comes across as such an unaffected, down to earth, good-natured fellow. And here's him signing a fans Budweiser bottle at Bethspage on Friday. We love the gesture. 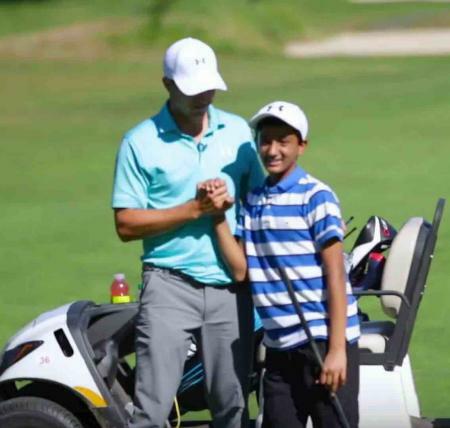 National Spelling Bee Co-Champion Jairam Hathwar said that Jordan Spieth was his hero. 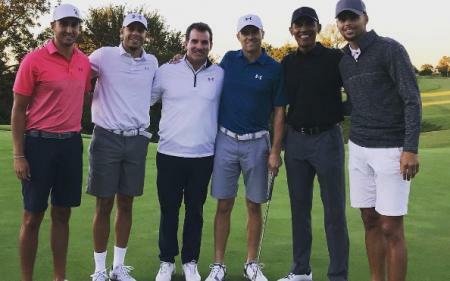 And Jordan duly invited the thirteen year old to join him at Bethpage Black before the Barclays. Here's what occured. 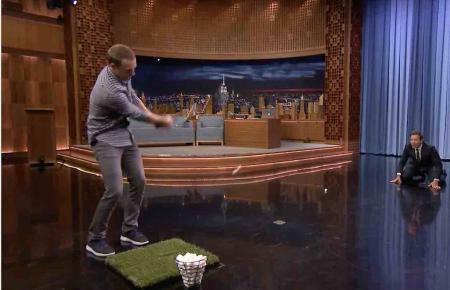 Jordan Spieth chats about what it's like joking on the green with Bill Murray and shows off his skills by attempting to hit a marshmallow into Jimmy Fallon's mouth on The Tonight Show. 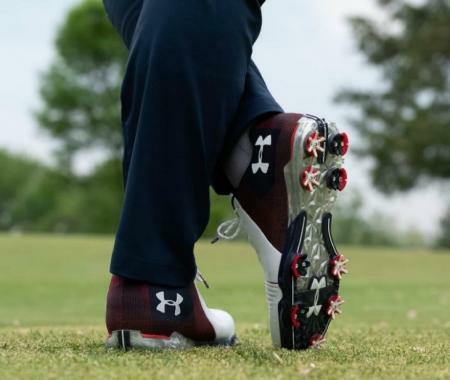 Jordan Spieth has been wearing 'smart' golf shoes, courtesy of his sponsor Under Armour. Here's what they do. 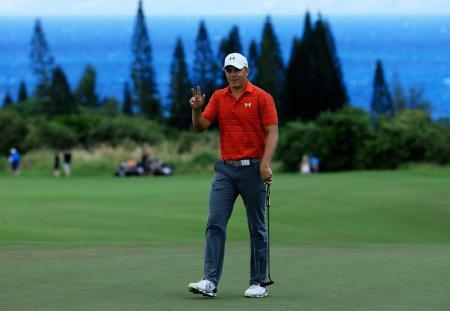 Jordan Spieth is better than us mere mortals. Here he proves it. 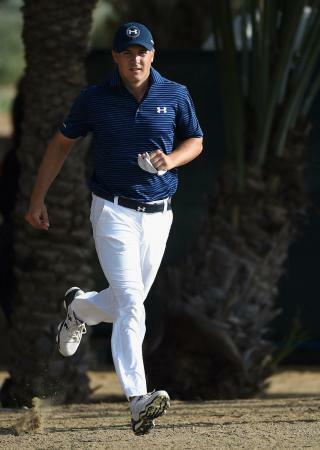 Here's Jordan Speith's new ad for Coke. 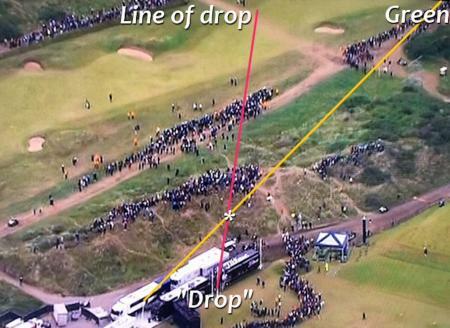 And it properly ties into the weather they have been having at Oakmont. 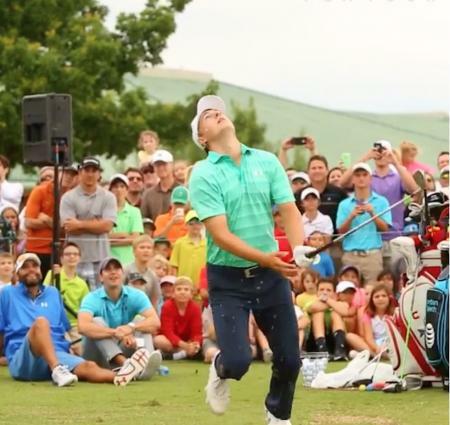 Jordan Spieth did his best Street Fighter 2 impression last night as he won the Dean and DeLuca Invitational. 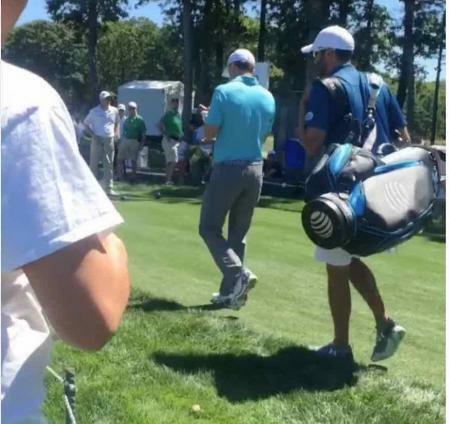 How this plastic toy is better at golf than you, and he definitely has a better caddy! 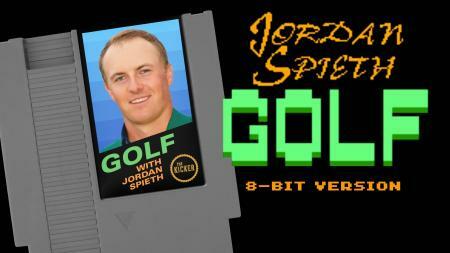 How Jordan Spieth lost the Masters, as an 8-Bit Ninteno NES game! 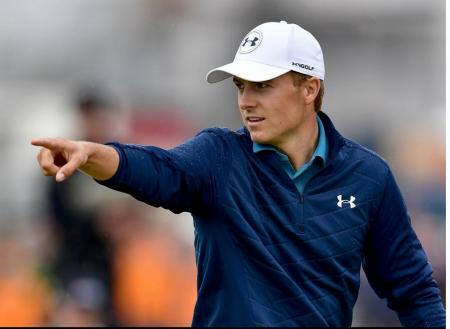 Jordan Spieth has made TIME Magazine’s list of the Top-100 Most Influential People list, and he’s the only golfer on the list. 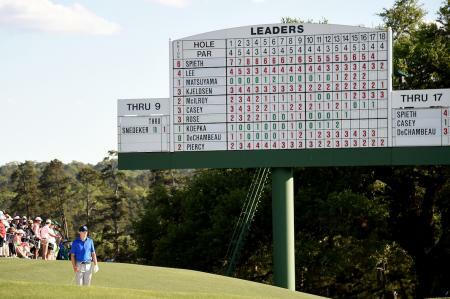 Jordan Spieth has played at Augusta National a total of three times, including this year's Masters. This infographic shows you exactly why. Under Armour is partnering with Full Swing Golf to create an interactive golf experience in Chicago. 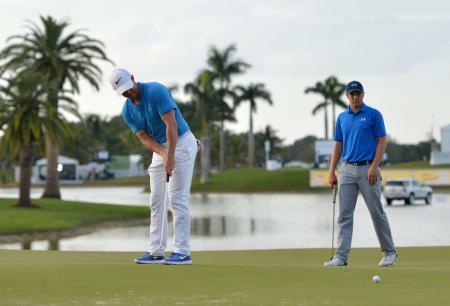 You'll get to experience what it is like to putt like Jordan Spieth. 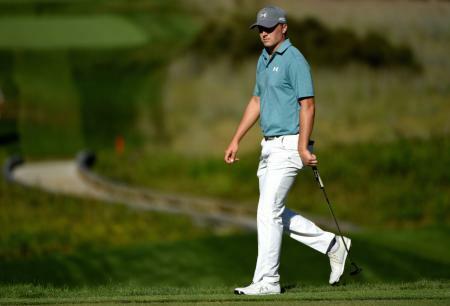 Jordan Spieth had a shocker last night, shooting his worst ever first round in a tournament (79), and amazingly missing eight putts from inside 10 feet at the Northern Trust Open. For the first time in 13 years Tiger Woods was not the top earner in golf. And we can all guess who has overtaken him. 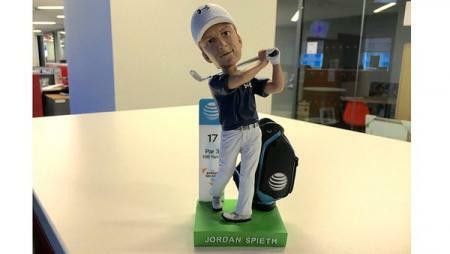 'Heir' Jordan Spieth took it deep on Saturday to extend his lead to five shots at the Hyundai Tournament of champions with a third round 65, nearly making an albatross on the 18th. 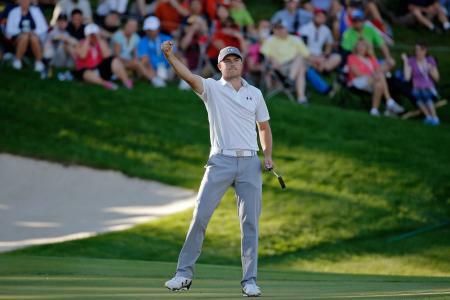 Jordan Spieth Makes An Ace!!! 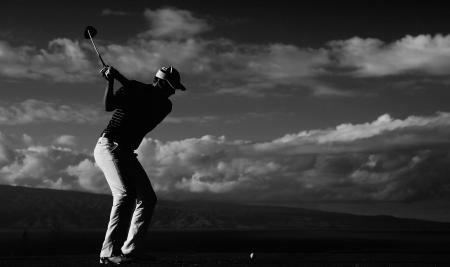 Jordan Spieth. Second hole. 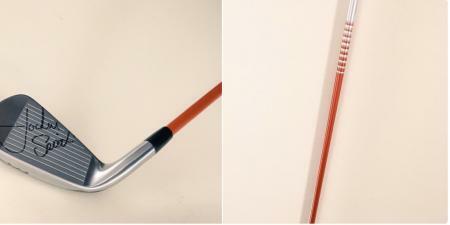 Six iron. 187 yards. Boom. What a way to start your tournament! 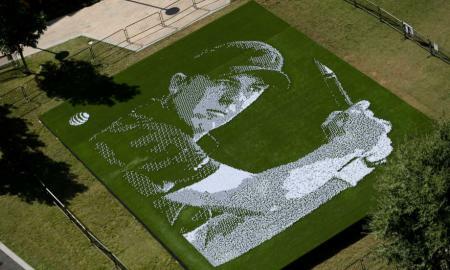 Watch how Jordan Spieth's sponsor AT&T make a mosaic of his head with 24,152 golf balls!! 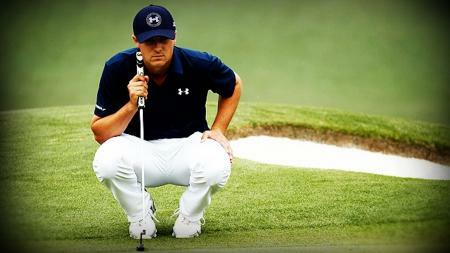 Jordan Spieth: Boring or Genius? 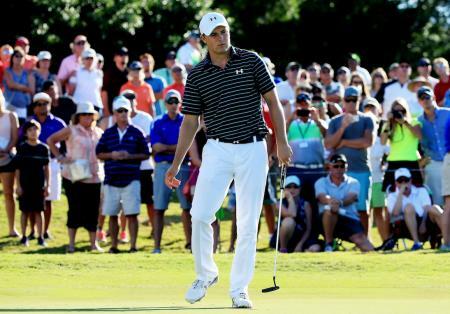 So why did Jordan Spieth miss the cut? 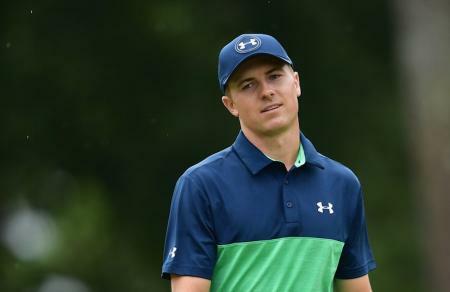 Jordan Spieth missed the cut this week at The Barclays. It happens. 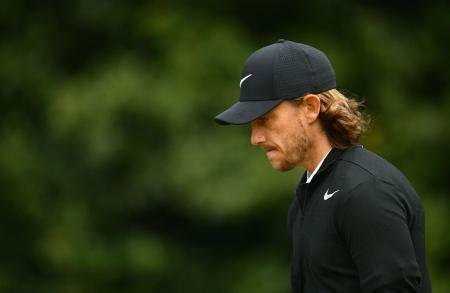 We got so used to Tiger Woods being seemingly infallible when he was World Number One that everyone panics that the end of the world is nigh when the official best player in the world misses the cut. 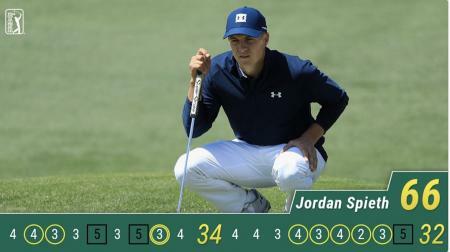 A panic that Jordan will never play a good round again. Yet even the best don’t play the weekend every tournament. 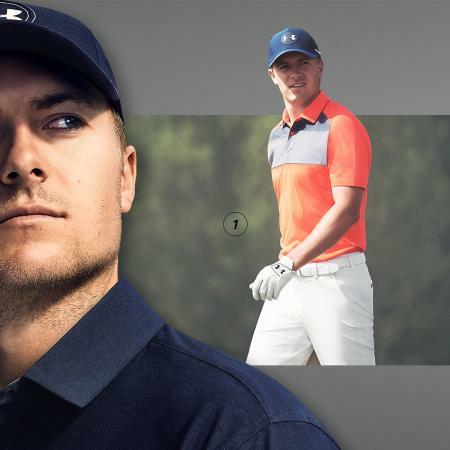 So Under Armour have sent us a sneek peek at what world number two, Masters, and US Open champion Jordan Spieth will be wearing at this weeks US PGA Championship. 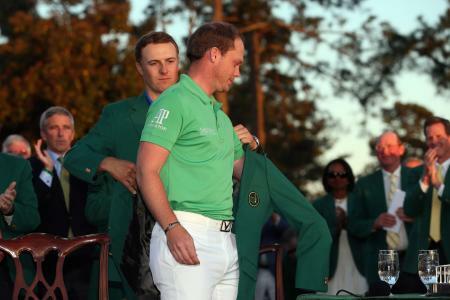 What happened at Jordan Spieth's Masters dinner? 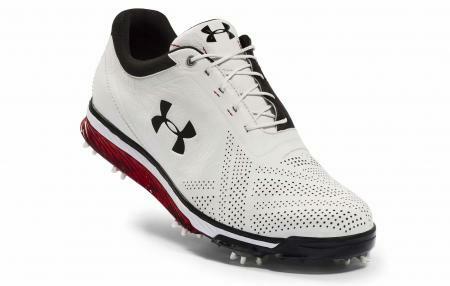 Golf is a sport driven by the feet. 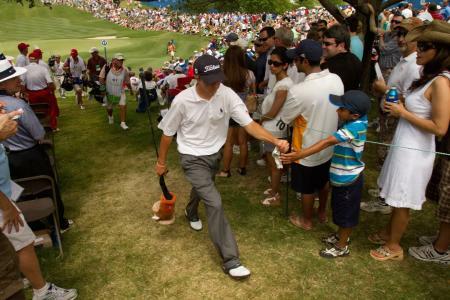 Walking from shot to shot, every step bringing you closer to the hole. 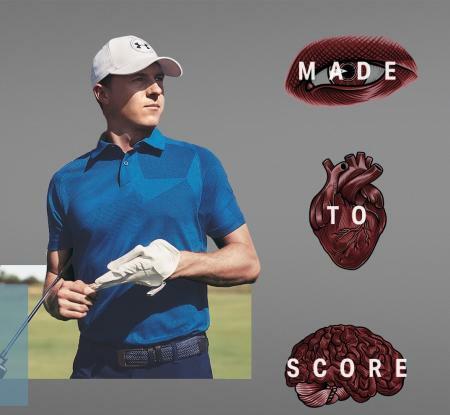 Every element of your shot – the traction, the torque, the power and the precision – comes from the ground up, and few know this better than 3-time Major Champion Jordan Spieth. 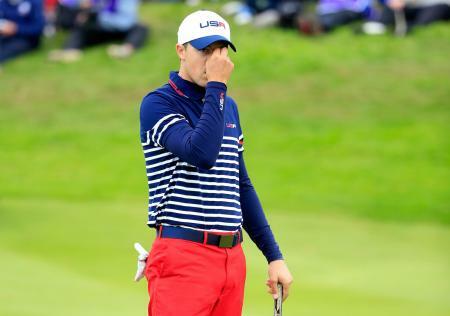 Jordan Spieth was two months old the last time Team USA won the Ryder Cup on European soil, when Tom Watson led the Americans to a 15-13 victory over Europe in England. 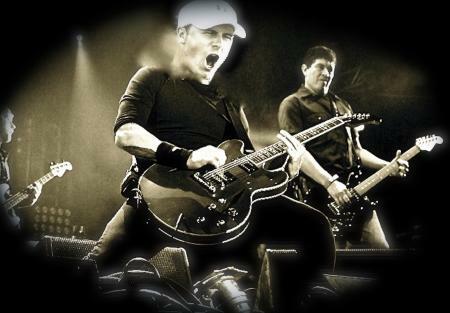 But now he's playing in his third Ryder Cup and will be coming properly suited and booted. 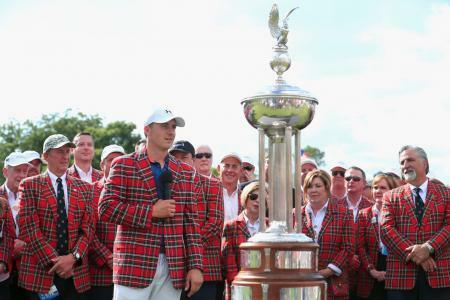 Jordan Spieth is one of the best golfers on the PGA Tour these days. 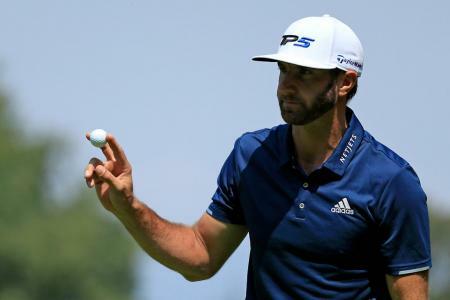 Still just 24, the Dallas native already has a trio of major trophies on his mantle and he is only a PGA Championship victory from completing the career sweep of the Tour’s most prestigious tournaments. 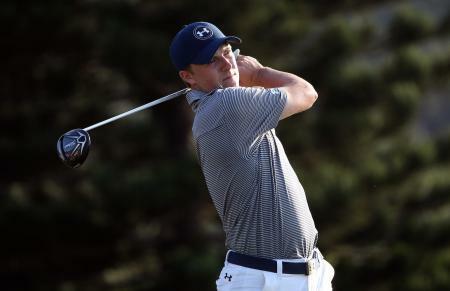 Spieth will be looking to improve upon his 2015 second-place finish at the PGA later this year. What does it mean to be MADE TO SCORE? 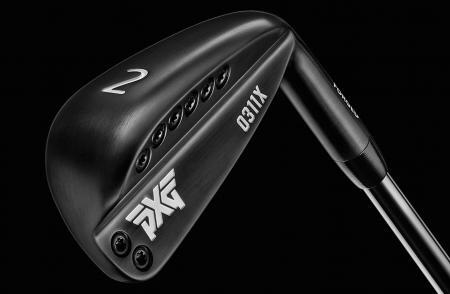 Does it mean hitting the longest drives or making the most incredible shots with every swing? In truth, it’s in the way you approach the game; the obsession over what others dismiss as the little things. 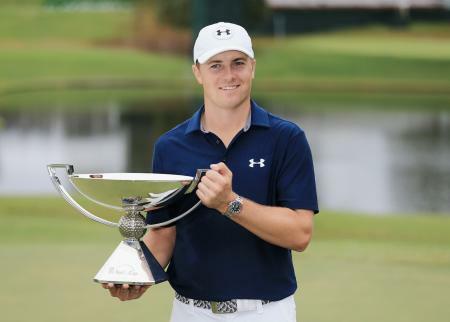 Words we never thought we would here from such a staunch competitor but Jordan Spieth has told reporters that second place in the final two events is okay for the three-time major champion as that will mean he will finish as the PGA Tours FedEx cup champion and pocket the cool $10 million bonus fund awarded for topping the points standings. 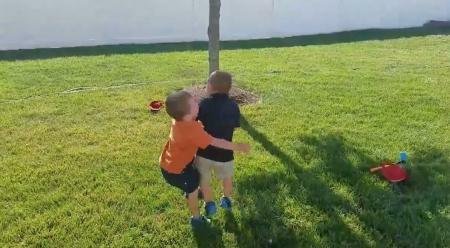 Two young boys have recreated Jordan Spieth’s celebration, when he holed out from a bunker to win the Travelers Championship. Take it away young fellas. 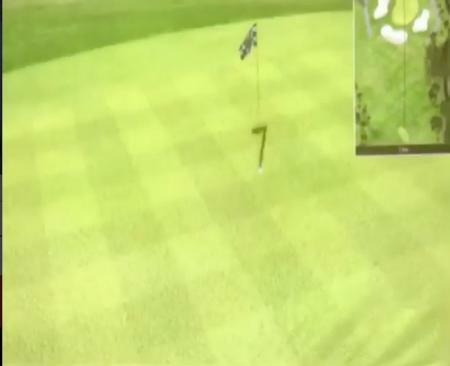 Dustin Johnson accidentally kicked the ball of his player partner Jordan Spieth, whose drive had come to rest in the rough on the 7th hole. But there was not to be a repeat of last year's dramas. 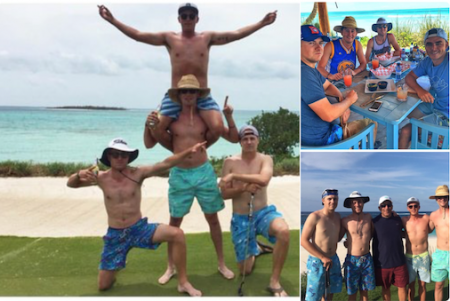 Rickie Fowler, Jordan Spieth and Smylie Kaufman have been letting their hair down in the Bahamas. It's their time for a post Masters chill. But they don't spare Jordan, that's for sure. 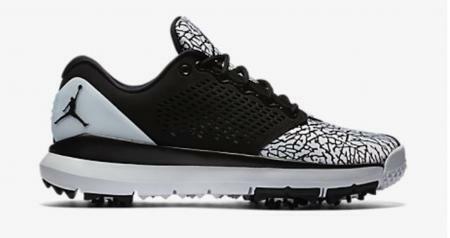 Jordan Brand have launched a brand new golf shoe for the Sneakerhead, the Jordan III inspired Trainer ST.
Jordan Spieth had to hole out three times from off the green to ensure that there was no question of missing the cut at the Valspar Championship on Friday. 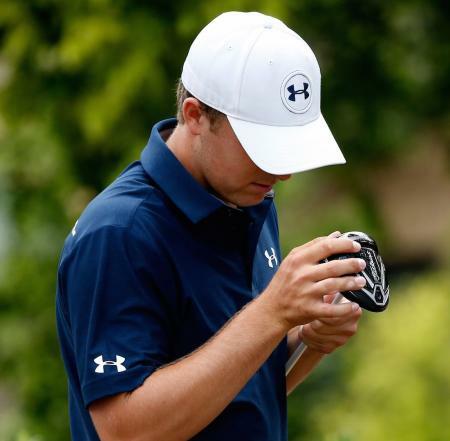 Jordan Spieth is saying that his putter has "friction issues" with greens when they get "shiny." And has asked for a ruling. What on earth is he on about? 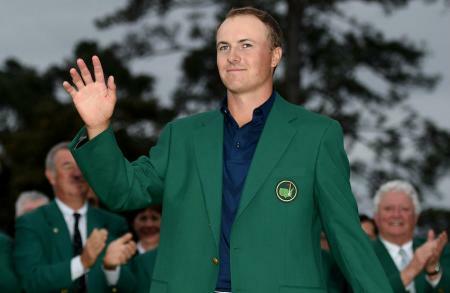 It looks like Jordan Spieth has been kidnapped, chained to a radiator in a basement somewhere and forced to recite a carefully worded speech on behalf of corporate giants Coca Cola. 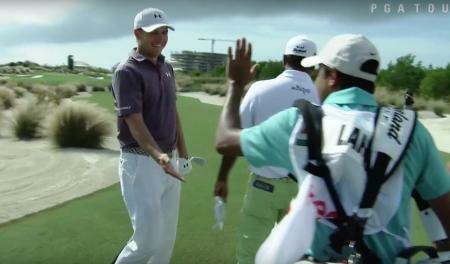 Jordan Spieth featured in a six-ball on his last hole at the Abu Dhabi Championship, as he became one of the few golfers to finish a fog-interrupted third round. 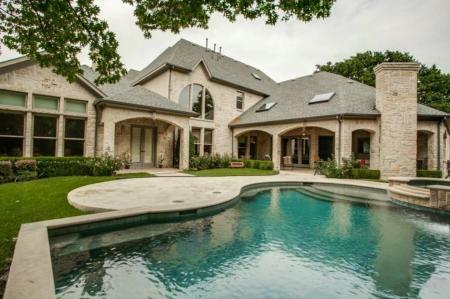 Jordan Spieth has found time to do a bit of house-hunting, and with earnings of $53 million for 2105, he doesn't exactly need to cut his cloth that tight. 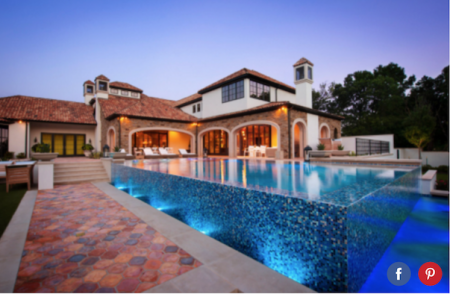 But he's still managed to get a saving of $1.5 million off the original asking price. 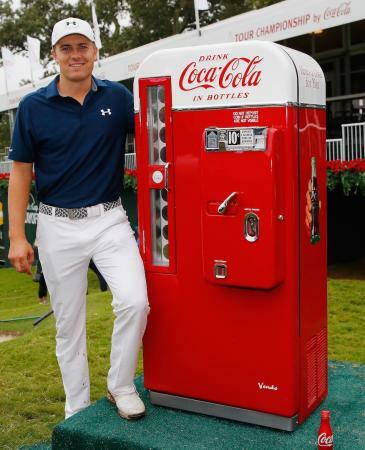 Coca-Cola® have announced that Jordan Spieth will become an ambassador for their brands in a multi-year, multi-million dollar deal. It's another rite of passage to becoming a global superstar. 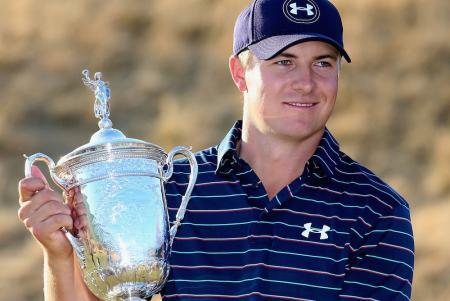 Jordan Spieth has had a remarkable year by anyone's standards. 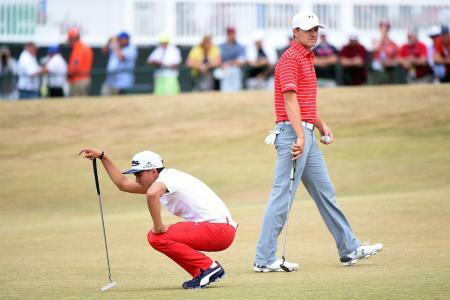 A couple of Majors, 3 more PGA titles, No 1 ranking in the world. Not bad for a 22 year chap from Texas. It's no wonder that in one of his final Tweets of 2015, he was clearly trying to hold onto the year. 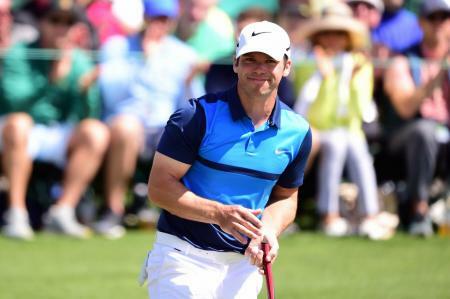 In a recent interview with the Daily Telegraph, Rory McIlroy pointed out that golfers who have great success one year often stumble immediately afterwards. 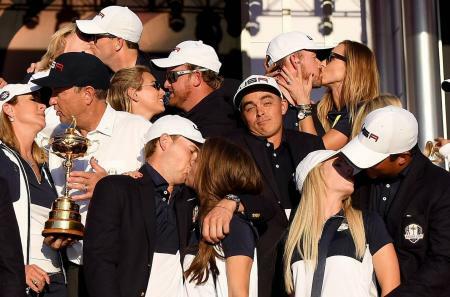 As defending Champion it’s Jordan Spieth’s priviledge of deciding what’s on the menu for the annual Champions’ dinner, which is held on the Tuesday of tournament week. 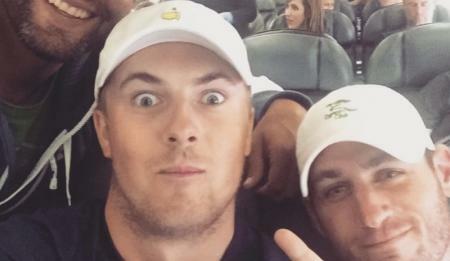 After what has been a sensational year for Jordan Spieth, it’s now time for a little holiday. So where is he heading? 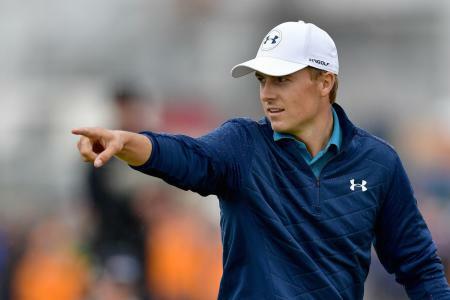 The PGA Tour have announced that Jordan Spieth has been named Player of the Year for the 2014-2015 season, whilst Daniel Berger has been awarded Rookie of the Year. 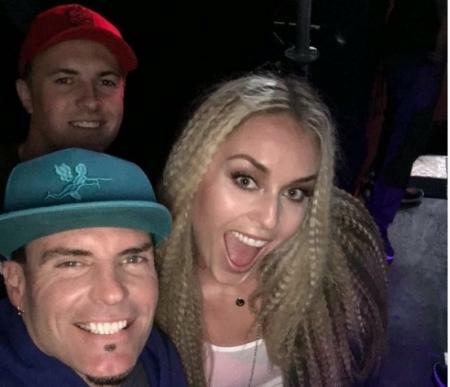 Jordan misses the cut. Again! Today was as much about who was hot as who was not. Jordan fell into the latter category, so he’ll be resting again on Sunday and Monday’s Labor Day finish. 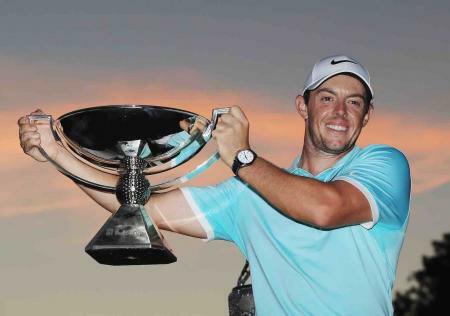 And as for Rory? Well, read on. 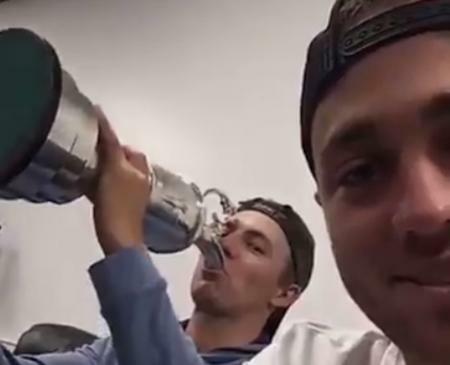 It's a double bubble winning weekend as Rickie Fowler and Jordan Speith won the Scottish Open and John Deere Classic respictively. 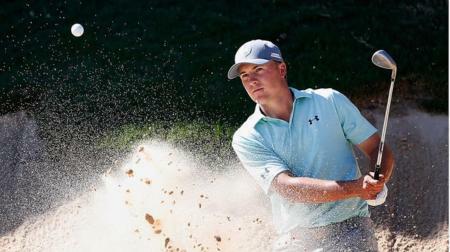 Jordan Spieth blitzed his third round of the John Deer Classic, shooting the lights out with a career low. 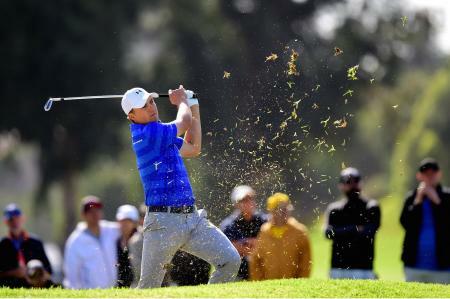 Spieth leads by two over last weeks winner Danny Lee. 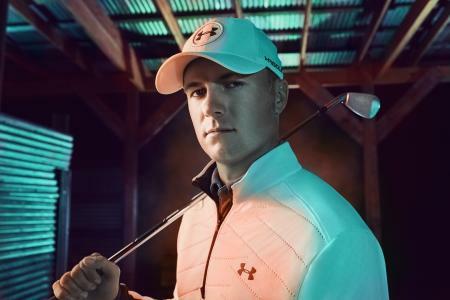 Spieth has become the face of Under Armour, shooting the brand to the top of the leaderboard wherever he plays. 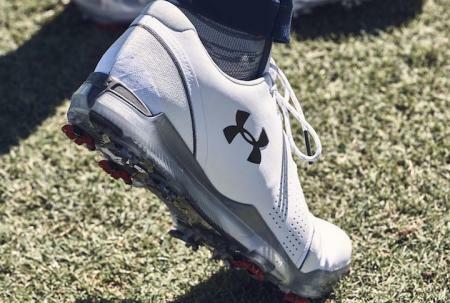 Under Armour’s Fall/Winter ’18 collection delivers the technologies and performance benefits you need to keep your game going in any type of weather. 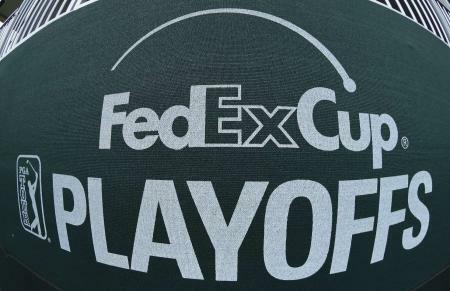 ​The FedExCup is the end of season tournament on the PGA Tour. 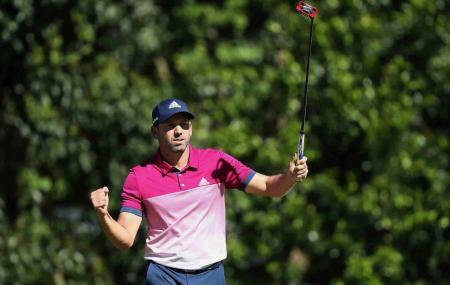 Introduced in 2007, after a bit of chopping and changing, it has proven to be the exciting end to the season that the PGA Tour were looking for. It's the close of Moving Day at the 2017 Masters. And here's five things we have learnt today. 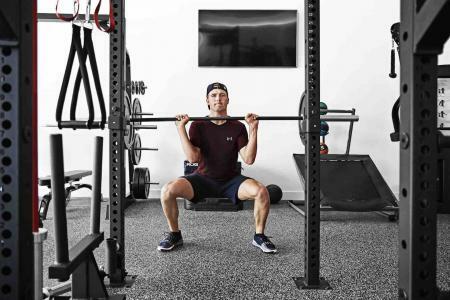 Under Armour has released an extensive range of polos, trousers, shorts, and tops, which will feature ground–breaking technology for 2017. 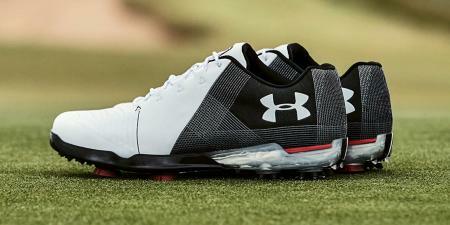 The Golfing Union of Ireland has confirmed an exclusive technical partnership with Under Armour.